Oliver Castaneda aka Viskratos is a comic book Illustrator, and co-creator and artist of comic book titled “Lady of Wrath” an assassin who hunts the people that hurts her and took away her father when she was young. Ever since he remembers, he loved to draw just like most artists it was his passion, creating and making his own character. 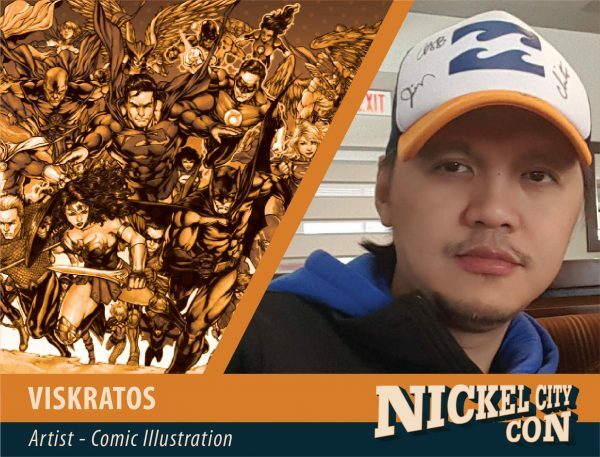 It was in his early 20’s when he had a formal training in creating a comic book, he attended Whilce Portacio’s comic book creation course, where he learns the right way to do comic book, from creating your own superhero, to doing the right anatomy, and how to tell a story in a comic book form. He is now working on the second issue of Lady of Wrath, his past works are, creating a custom variant cover for a comic book shop Gotham Central Comic Book and Collectibles for Aspen comics titles such as Soulfire, Bubble Gun and Fathom, works for Perna Studios as a sketch card artist for some of their sketch cards set, cover and interior artist of Heroic issue #1 and #2 from Zenith Comics, character designer for Xion Studios.